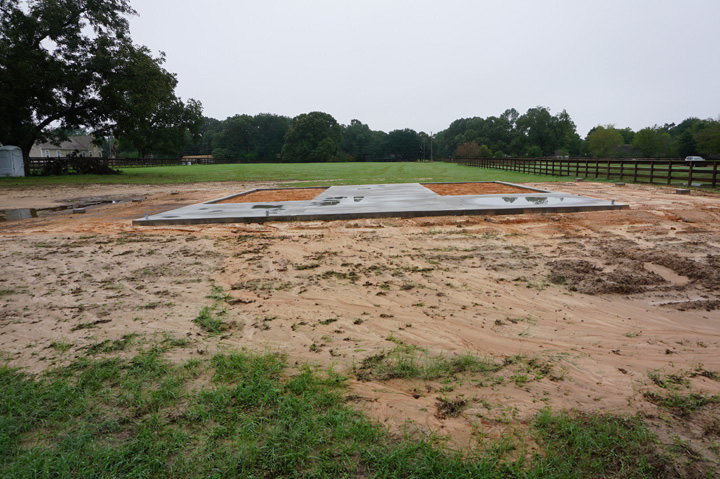 this will be a center aisle Barn with 2 stalls on either side - a Tack/Feed room on one side and a Wash room opposite on the other side. 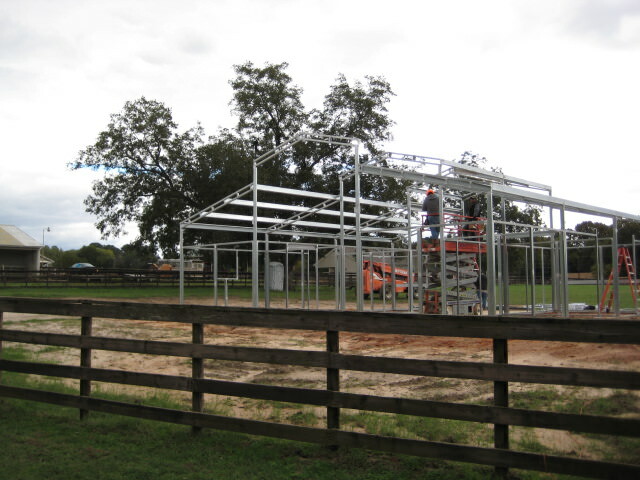 a double sliding door both front and back and then the stalls will have sliding doors (servicing both stalls on each side), allowing access to all stalls from the right and left sides of the Barn or from the aisle inside. 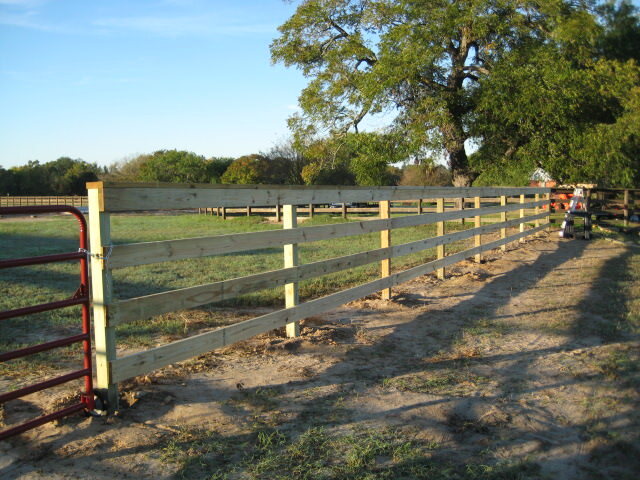 We'll have electrics and water running to the Barn. Then there will be a 12' lean-to on both sides - our Boys are gonna love - shucks, I'm gonna love it ! You only thought you were “retiring”. Congrats again on the new homestead. Glad to see it's nothing more serious and your doing the things you like to do. now I've gotta unhitch the Rotary Cutter and hook-up the Post Hole Digger and "get to work"
Two questions. When I was a bird hunter large pastures of goat weed in the Texas hill country usually meant quail this time of year. Realize your aways from the hill country but did you see any quail or dove? And are you the owner of a used, but slightly damaged, truck? 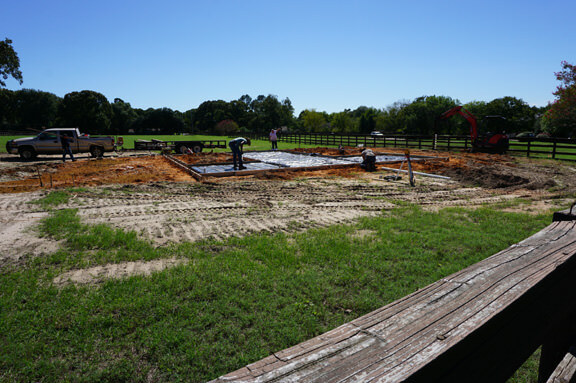 have discovered that there are NO rocks in the soil here, just good dirt - what a pleasure to work with compared to the soil at the place in Conroe ! 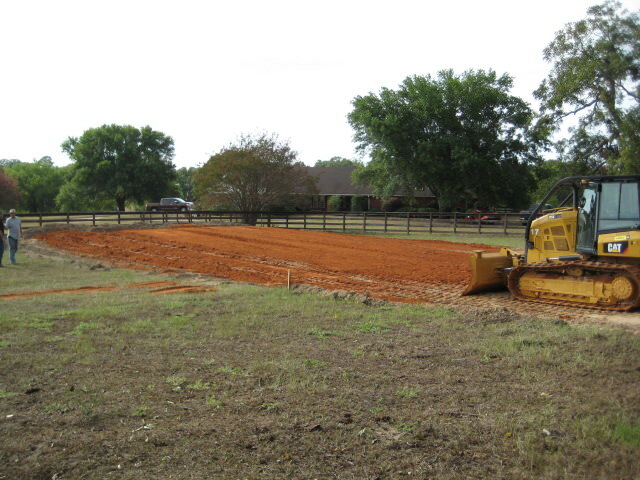 gettin' the pasture ready for when the new Barn is complete and we can bring our 2 Boys (adopted Horses) "home"
Looking good , do you hire out ? If you look closely, that lumber is a heck of a lot straighter than what you can get at most lumber yards. 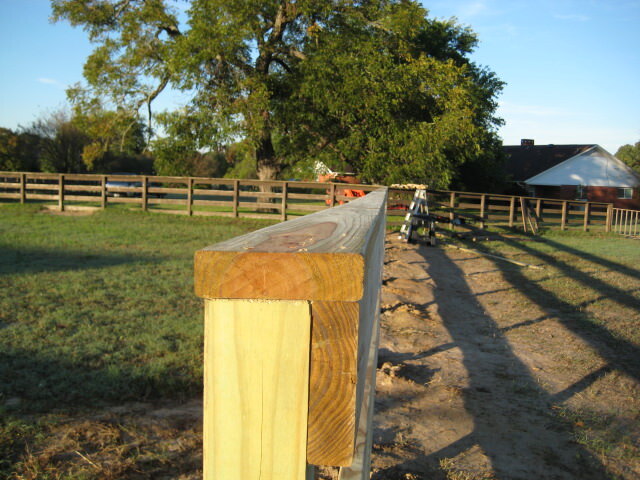 Tango, did you use a string, laser or just your eyeball setting the posts? Wow! Your place is really taking shape. Pretty good work for an old horse fornicator.